This space is reserved for the latest engines and parts that I have available for sale. 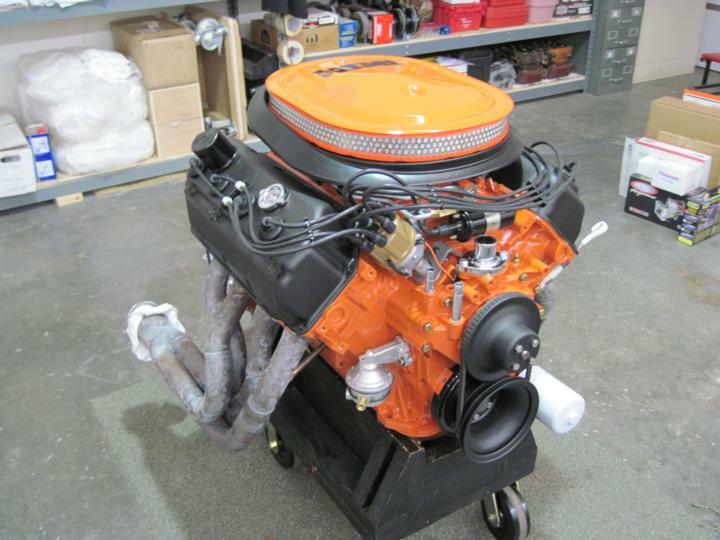 This is a 426 Street Hemi built by Hemihaines. Complete and ready install in you Hemi project. 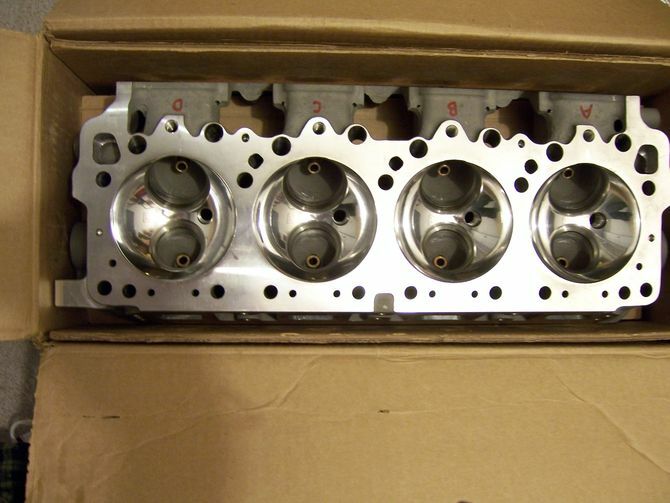 Mopar Performance 5007667AB Water block, Eagle 3.75 forged Hemi crank, K-1 H-beam rods, JE 10.5:1 forged pistons, Clevite Bearings, Balanced assembly. Stage V aluminum Heads, Manley Stainless steel valves, Comp. springs, retainers and locks, PC seals, Aluminum Rocker arm stands, Hard chrome shafts and Indy 1.6 chrome moly roller rocker arms. 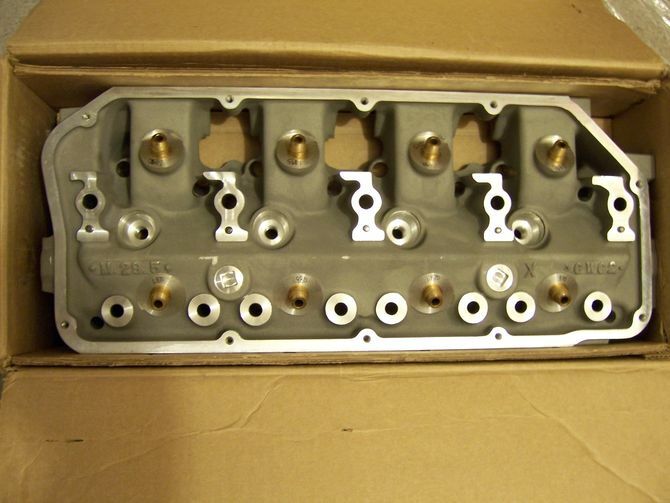 66-69 or 70-71 Steel Valve covers. 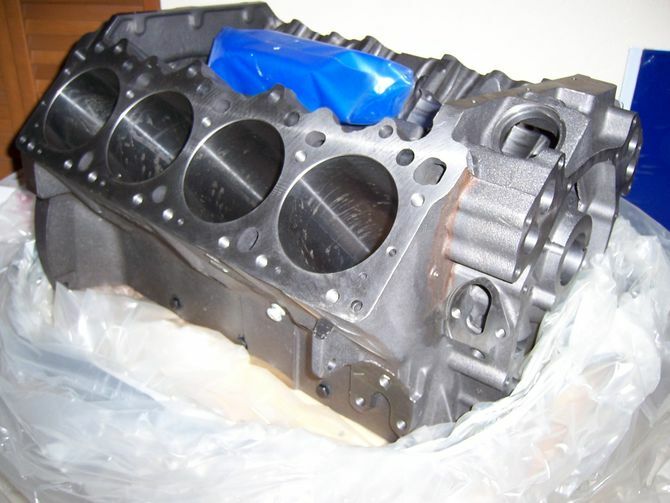 Bullet Hydraulic Camshaft 232* @.050 with .560 lift Intake and 237* @.050 with .565 lift exhaust 109* lobe separation angle. Rollmaster timing chain degreed with 1* advance. Melling hi-volume oil pump, hardened shaft. Stage V Intake with two Edelbrock 600 CFM carburetors. Steel air cleaner and pulleys. Aluminum water pump and housing. Headers and cart not included. These are $6500.00 each plus shipping. These are brand new never machined or installed. If you are not familiar with these numbers, The ones with 67Ab are 4.19" bore and the ones with 68AB are 4.25" finish bore blocks. Both can safely go to 4.38"
all these heads for several reasons. and seals for $3500.00 plus shipping. Springs are good up to .600 lift.